All 73 Target promo codes have been verified and tested today! Know how and what Target coupons and deals to stack. The savings potential is enormous. Sign up for the email to receive the weekly ad, download the Target app, and get alerts on your phone. No coupon will get past you now. Find manufacturer coupons in the app or elsewhere outside of Target from the brands you like. Now combine these with coupons from Target and save. But that's just the start. Click on the cart icon or "view cart and checkout"
At the checkout page, view the promo codes box. Enter the code in this box and select "Apply"
Use your REDcard for select purchases and enjoy exclusive add-on rewards. For example, unlock figures, posters and collectible pamphlets when pre-ordering select movies. Look for promotions to take advantage of your credit card ownership whenever you can with no need for a Target online coupon. You may already have several savings methods stacked, but you would also like to pay nothing for shipping? Spend $35 or more and enjoy free standard shipping on orders with no Target discount code necessary. This deal applies to most orders, and users don’t need to have a REDcard to qualify. Download the app on your smartphone and sign up for instant savings. You’ll save between 5% and 50% on select items. You can use Cartwheel discounts up to six times a day on four items per transaction per Target coupon. Scan items in the store with the app and find out if there are any available coupons instantly for quick savings. Save more by browsing the clearance items online and in the store. Snag savings between 30% and 90% on specific items weekly. Use the clearance link at the bottom of the Target homepage for clearance items by department. Return here to apply a Target code and save even more. Check back regularly because some items are marked down repeatedly. Create a wedding or baby shower registry and enjoy great instant savings. You’ll receive a Target discount coupon for 15% off any items left on either registry after your event. With a wedding registry, you can get additional gifts from select purchases. The baby registry comes with a welcome package with $50s' worth of coupons and samples. Apply for a REDcard to save even more on every purchase you make. Cardholders get 5% off daily purchases and receive free shipping for most items ordered. Expect special discounts too, like 10% off with Target online promo codes. To enjoy these benefits, you must be approved for the REDcard credit card. Target has it all - everything you need from the sales with always a discount around the corner. You've thought about what they might want to buy over the coming year and the time is now! Manufacturer coupons can be either from the other Target app - Cartwheel, a printed out coupon or one from the newspaper. Stack any of these with a Target coupon on an item. Coupons from manufacturers mean more ways to save because they are available in more than one form: paper or digital. Download the Cartwheel app and increase stacking opportunities. At checkout in-store, use the Wallet feature in the Target app to get your Cartwheel savings. You will also be able to pay with REDcard if you have it, and all in the one scan. Parents can save an additional 15% on diapers, wipes, and formula with the baby subscription program. Sign up with your REDcard and enjoy the full discount on every order. Apply a Target promo code to your order and save even more. To receive the discount, you must schedule repeat orders for shipment. Repeat orders can be set at intervals between 4 weeks and 26 weeks apart. For other subscriptions, get 5% off plus free 2-day shipping on every order. Sign up for a college registry and save 15% on your back to school supplies and gear. 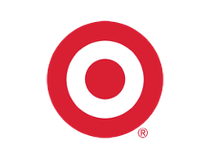 The Target promo code applies to education, apparel, kitchen, and home décor items. Add the items to your registry to get the discount. You can save at least 25% on high-end appliances like those from KitchenAid. Look for exclusive Target coupon codes and stock your kitchen with blenders, toaster ovens, mixers and other items that you need. The savings often come as rebates. With the price match, Target's best price becomes the best price anywhere. Go ahead and price match identical in-stock, non-clearance items. Most competitors are matched, including Amazon. Call guest services or show the full printed ad or digital version at the store. You can't combine Target coupons with the price match after the price match is made, but go ahead and apply manufacturer coupons on any store purchases. It's no problem if you've already made your purchase. Use the 14-day price adjustment. Show your original receipt or packing slip. If you found the item at the price you want but the item isn't currently available, raincheck it for 30-45 days. You can always also price match the item later if a better price comes along in the meantime. Unlock free gift cards for future online purchases by spending a set amount on your purchase. You can always find free gift cards of between $5 and $15 when you spend between $25 and $75 on select products. Use a Target promo code on your purchase to save this time, while getting the gift card to save next time. Do you have gift cards from other stores? Trade them in for the Target version and again shop for less.